Metal and plastic fittings for handbag design: zippers, locks, connectors, buckles, chains, bag frames, purse handles, snap hooks and various decorative ornaments. 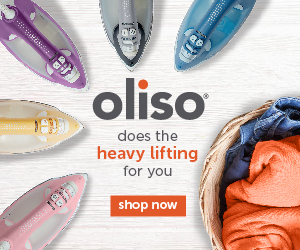 Most often you’ll find them in the button department of your favourite sewing supply dealer, leather-craft supply sources, and luggage repair centers. To add continuity and harmony to your overall design, select the hardware in the same colour and metal finish. Bag Feet – Used on the underside of the bag to protect the bottom of the bag. Made in metal and plastic in an assortment of sizes and colours. Assembly involves an anchor plate and set screws or prongs. Bag Handles – Leather, vinyl, wooden, and plastic-molded bag handles are a fabulous way to add a “wow-it’s-handmade” touch to your handbags. 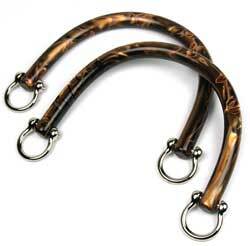 Purse handles will instantly add a polished and professional look to your creations. Styles are available in many lovely colours and come readily supplied with connecting hardware. 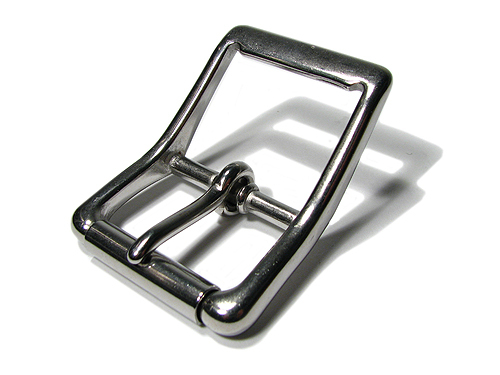 Buckles – is a device used for fastening two loose ends, with one end attached to it and the other held by a catch in a secure but adjustable manner. The basic buckle frame comes in a variety of shapes and sizes dependent on the intended use and fashion. The inner diameter of the buckle is measured to equal the width of the strapping for a proper fit. Available in nickel, pewter, and brass metal finishes and a variety of colours in plastic. 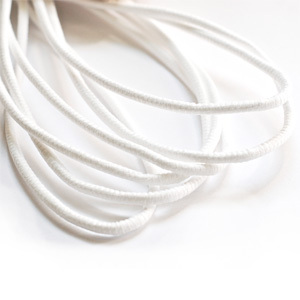 Cord Lock – A spring loaded cord lock is ideal for securing drawstrings and pullcords. Squeeze together, tension is released and cord lock can move freely up and down cord. Release, tension engaged and cord lock stays in place. Most cord locks are purchased unsprung – once depressed for the first time they will default to locked position. There are many styles and colours available in plastic. Frames – Ornamental purse frames can add a professional polish to your handbag design. They are available in antique and contemporary styles. Internal and external frames are great for adding stability to your bags and they also provide a ‘skeleton’ on which to construct your bag. They are available in metal and plastic; they are install by gluing or using a paper or rubber scrim in the lining side of the bag. Framing Scrim – Dense twisted paper cord or pliable rubber filler for frame purse making. Great for standard to wide channel purse frames or purses with thin fabric layers. 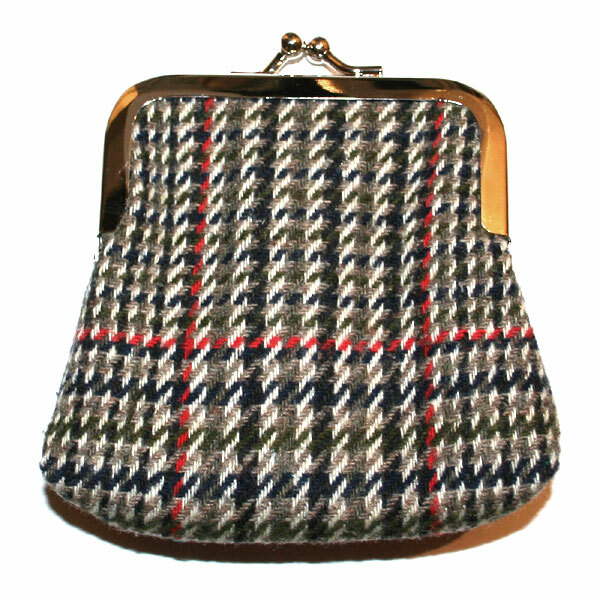 Using scrim in purse making strengthens the bond between the fabric and the frame. Insert the scrim into the lining side of the purse using a pointed tool (such as wooden creaser/turner). 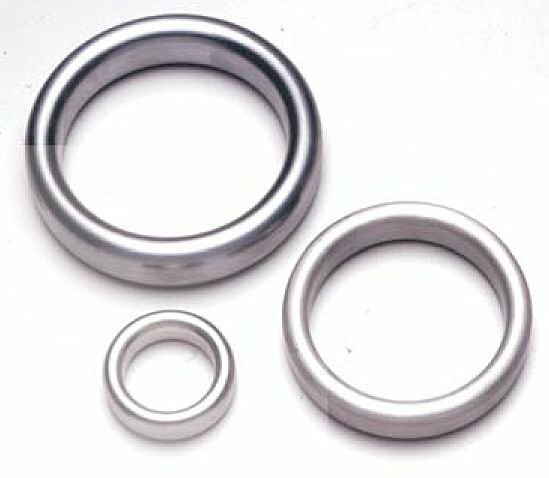 Grommets and eyelets – are metal, plastic, or rubber rings that are inserted into a hole made through another material. They may be used to reinforce the hole, to shield something from the sharp edges of the hole, or both. Grommets are easily used in common DIY projects, requiring only the grommet itself, a backing ring, grommet-setting tool (a metal rod with a convex tip usually sold with the grommets), and a hammer. Their most common usage is to strengthen the holes for strapping but they are also good for draw-cords as the grommet prevents the cord from tearing through the hole, thereby providing structural integrity. Small grommets are also called eyelets. 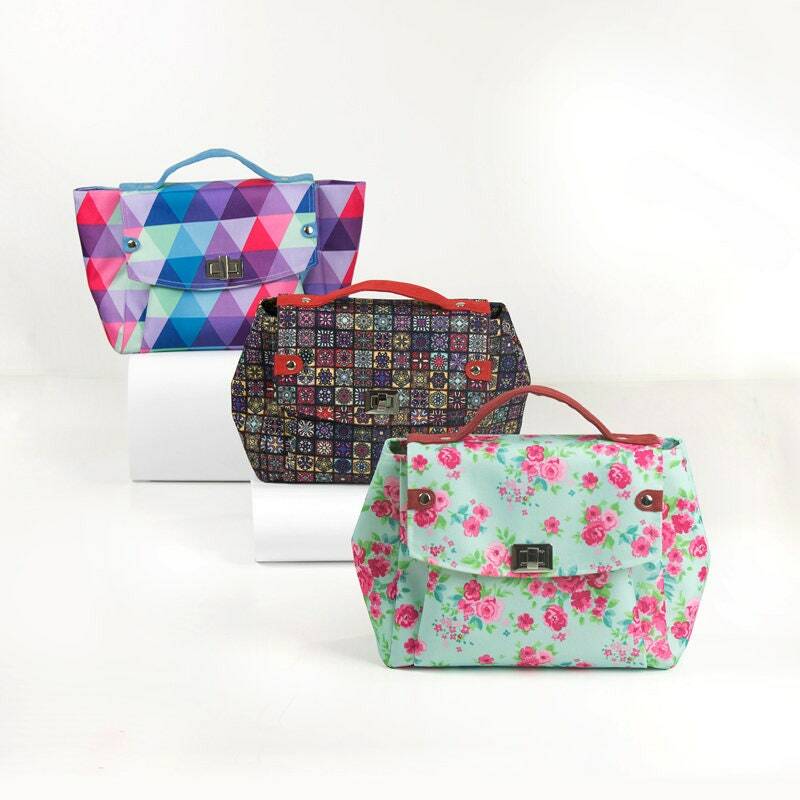 When using eyelets for bag-making, they are generally used decoratively. Handle Holders – Used to secure handles to bag. Assembly involves an anchor plate and set screws or prong. Available in a variety of styles and metal finishes. 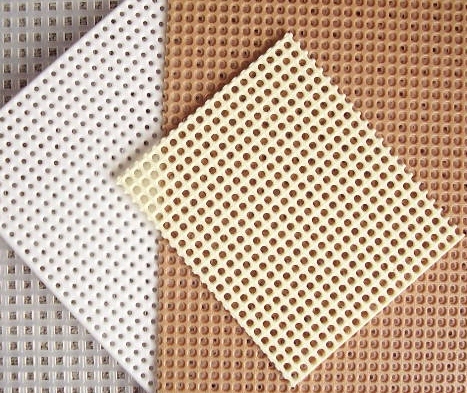 Plastic Grid – Also known as plastic canvas. Used to create a “solid” bottom for bag designs. Available in various weights and shaped pieces such as diamonds, circles, squares, triangles, and hexagons. Purse Clasps – There are magnetic snaps, ornamental clasps, decorative fasteners, and heavy-duty closures specially designed for handbags, suitcases, carrying bags, school bags and any applications need a locking function at a quick and easy way. A purse clasp can be a nice alternative closure to a zipper, especially if it is magnetic. They are not difficult to install and they can be added to almost any bag style. Available in metal or plastic in a variety of colours and styles. Rings & Loops – Used at the end of a leather or fabric strap, or may be secured to a surface with a metal or fabric strap. Styles include single loop, D-ring, O-ring, square loop, bracket loop, bow ring, double loop, wire form loop, etc. Available in a variety of colours and metal finishes. Rivets & Studs – A rivet is a permanent metallic fastener. Before it is installed it consists of a smooth cylindrical shaft with a head on one end. The end opposite the head is called the buck-tail. On installation the rivet is placed in a punched or pre-drilled hole. Then the tail is “upset” (i.e. deformed) so that it expands to about 1.5 times the original shaft diameter and holds the rivet in place. Studs are similar to rivets but have a pronged backing and may come with an anchor plate. They are mostly for ornamental use as embellishment. Both are available in various colours and metal finishes. Snap Fastener – (also called snap, dome, and press stud) is a pair of interlocking discs commonly used to fasten bag closures. A circular lip under one disc fits into a groove on the top of the other, holding them fast until a certain amount of force is applied. 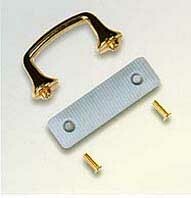 Snap fasteners are available in press, interlocking, and magnetic models. 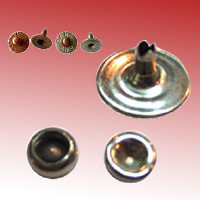 Snaps can be attached to fabric by hammering (using a specific punch and die set), plying, or sewing. For plying snap fasteners, there are special snap pliers. 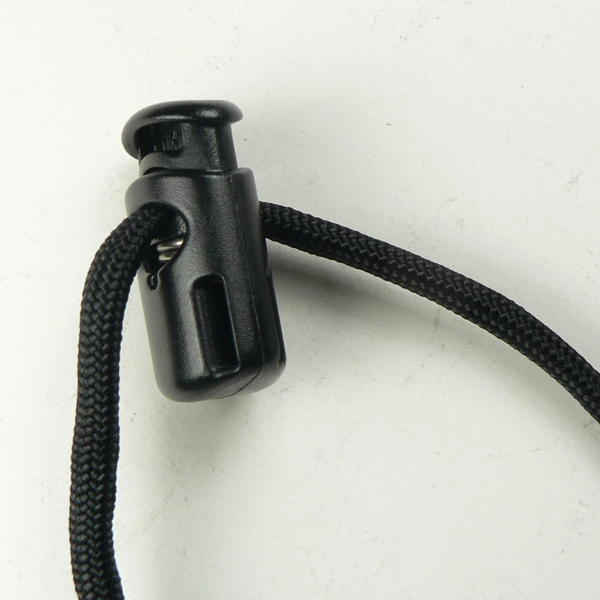 Swivel Snap Latch – Used for detachable strapping hooked onto a ring or loop. Varies from center bar, heel bar, or roller bar styles. The inner diameter of the loop is measured to equal the width of the strapping for a proper fit. Available in metal or plastic. Zippers – Bag zipper is a device for temporarily joining two edges of fabric by meaning of interlocking teeth, and increase the size of an opening to allow the passage of objects. It is often used on bag openings and pockets for closure and security. 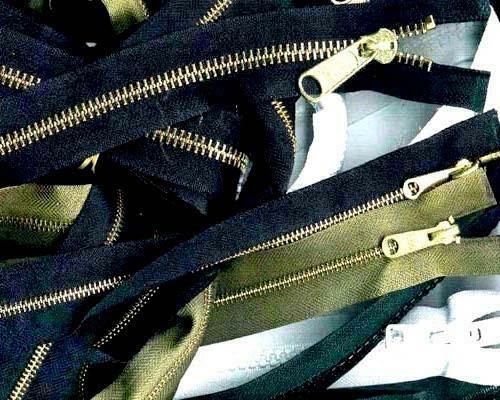 Zipper types are: coil, metallic, plastic-molded, invisible, open-ended and closed-ended. Sliders are available in one-way or 2-way styles, and may come with an auto-lock latch or decorative fob.